We saw the Duchess in some favorite maternity styles for a pair of London engagements today. 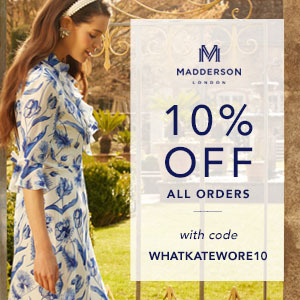 We are back with news about a previously unannounced engagement for Kate today, and a look at shopping the Erdem for H&M collection for those with the patience to brave the online and in-store crowds. First, a look at the new engagements added to Kate’s Calendar. Wednesday, November 8: The Duchess will attend the Place2Be School Leaders Forum in London. She will open the conference; this year’s theme is ‘I’m Fine!” This is the Forum’s third year; Kate attended both of those Forums. She is Place2Be’s patron; the organization offers school-based mental health support that reaches more than 115,000 children. Thursday, November 14: Kate will visit the Hornsey Road Children’s Centre, “a welcoming environment for expectant and new mothers, and an outlet for children to play.” Family Action is a charity providing services at the Centre and Kate will learn more about the organization’s perinatal mental health services. HM is Family Action’s patron. Kate was scheduled to do the Family Action/Hornsey Road engagement in September but had to cancel because she was ill. 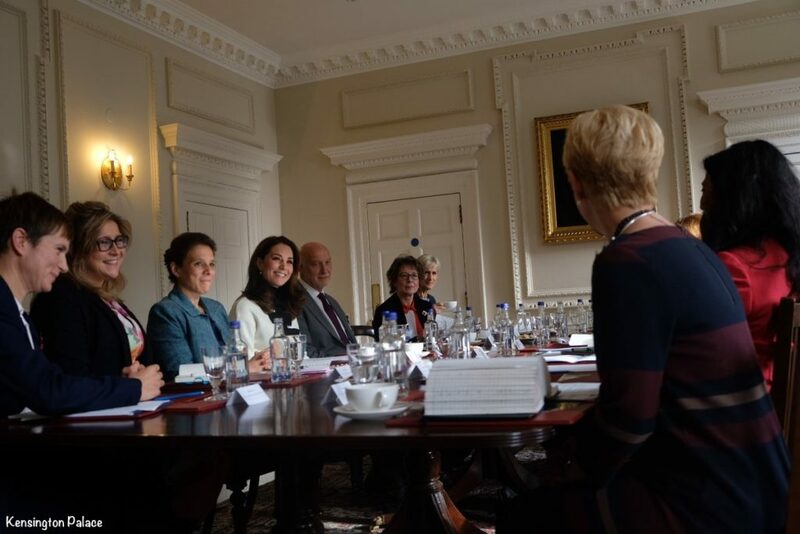 This afternoon Kensington Palace announced that the Duchess hosted a roundtable discussion about maternal mental health.